Ford has unveiled its revamped Fiesta, which goes on sale on January 1, 2013. Meanwhile, the Mondeo, another of the firm's infamous motors, will be released in the spring. In terms of the in-car kit on board, the Fiesta sports the brand's voice-activated connectivity system, Ford SYNC, as well as Active City Stop – designed to help avoid low speed collisions - MyKey and a 1.0-litre Ecoboost petrol engine. Ford's SYNC system, which will debut in the new Ford Focus ST, allows drivers to make hands-free phone calls and listen to music from devices connected via USB or Bluetooth. The firm continues its tech assault with LED daytime running lamps along the wing and a striking grille complimented by some mean-looking headlights. The result is a “sporty and sophisticated” looking package, according to Ford of Europe's executive design director Martin Smith. 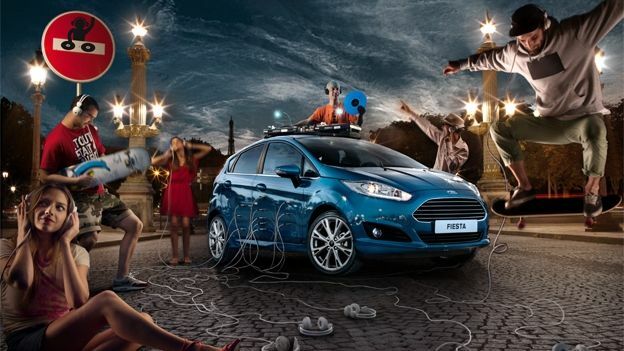 Full details of the Ford Fiesta will be released at the Paris Motor Show on September 29.